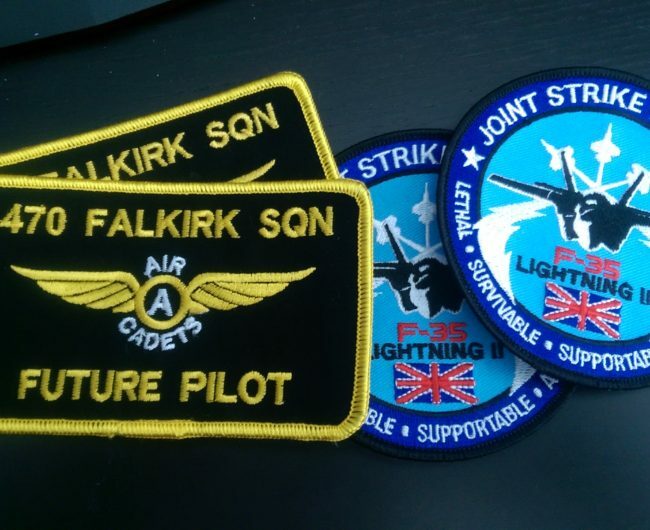 In 2015 we were very fortunate to have been providing funding by our Civilian Committee to build a high specification flight simulator. The project is constantly evolving as we incorporate more features into its design. Power – Base unit is a high specification gaming machine which uses 16gb ram, an i5 processor, ATI graphics and Solid State Hard Disks to power the simulations. Display – 3x 23 inch HD monitors provide the wrap around screen effect. Controls – The system uses the Saitek X55 joystick and throttle control units along with pedals to simulate actual aircraft controls. 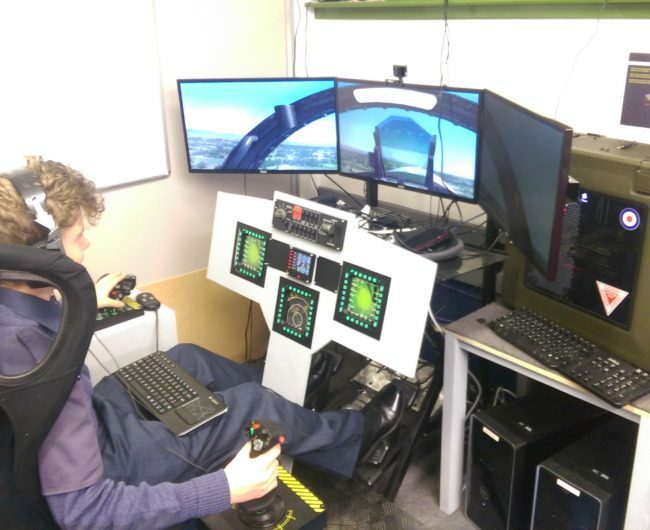 Instruments – We are replicating the main control console from RAF aircraft like Typhoon and Hawk by incorporating off the shelf simulator components. Head Tracking – We have incorporated a head tracking device to allow cadets to “look around” naturally. Force Feedback – We utilise a force feedback device under the seat which causes the seat and enclosure to vibrate to replicate the forces encountered on takeoff and landing. Seating – Adjustable Racing seat allows different cadets to use the simulator easily. Enclosure – The seat, control surfaces and displays are mounted in a dedicated enclosure. The simulator will continue to evolve. Incorporate more useable instruments into the main control panel from the Saitek Pro Flight range. Expand the enclosure – If space allows make it fully enclosed. Increase screensize to 27 inches.